Before 2002 training as a rabbi or cantor could only be undertaken outside of the Netherlands. For various reasons, such as age, work or family circumstances, several highly motivated potential students were not in a position to follow an extended course of study abroad. 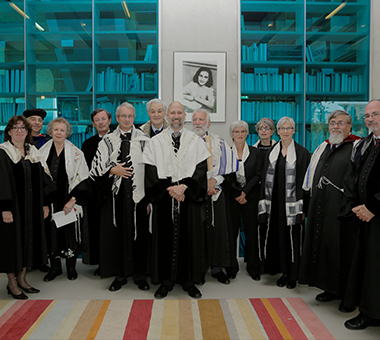 The Levisson Institute was established to train rabbis, chazzanim, teachers and knowledgeable leadership for the Dutch Progressive Jewish community. It is called after Robert (Bob) Levisson z.l. (1913-2001) from The Hague, one of the great leaders within the Dutch Jewish community and is part of the Dutch Union for Progressive Judaism (Verbond). The Institute’s founder was Rabbi David Lilienthal. From the beginning until his retirement in September 2012, he was the Dean of the Institute. In February 2013 he and his wife made aliyah. Following Rabbi Lilienthal’s retirement, the board introduced a different leadership structure: a Management Team with four members, each with his/her specialty in order to ensure that all areas of responsibility would be covered. The new Dean is Rabbi Menno ten Brink of the Amsterdam congregation. 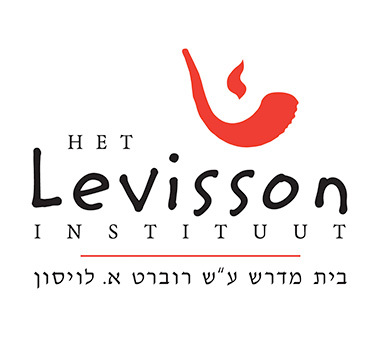 The Levisson Institute was founded to grant rabbinical certification (semicha), but since then it has also developed programs to grant qualifications in other professional areas in the Dutch Progressive community. In this expanded role shelichay tzibbur, teachers, gabba’im and ba’alei korei have been trained. In 2014 the rabbinical training was recognized by the CCAR (Central Conference of American Rabbis). Post-graduate education is organized for the rabbis, cantors and teachers. A “Gabbay Handbook” will be published in the near future. The Institute also makes significant contributions to the essential task of maintaining and increasing Jewish knowledge among all members of the community through lectures and discussions that are open to the public. In the 15 years of its existence the Institute has ordained seven rabbis. There is a substantial need for rabbinical leadership in The Netherlands and in the coming years some rabbis will retire and new rabbis will be needed. 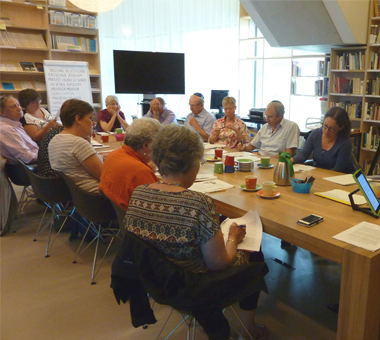 The main task of Levisson Institute, therefore, remains the training of rabbis in The Netherlands for Dutch congregations and for the Dutch context. We also would like to train rabbis for other congregations where they speak Dutch, for example, Belgian Flanders, Surinam and the Dutch Antilles. The Institute is situated in the synagogue and community center of the Liberal Jewish Community (LJG) of Amsterdam. The Institute also has a large library collection, partly in the Levisson room, but most of it situated in the main library in the building, which is a combined library of the LJG and the Levisson Institute.